Do you have a lawyer in your life that you need to present a gift? Or are you planning to mark a special holiday season for your lawyer or to celebrate your lawyer’s birthday with a special gift? If that is what you are planning to do, we are glad to inform you that there is an array of gifts from which you can you can choose to present to the attorney in your life. We have taken the time to compile a list of the top 9 best gifts for lawyers, and it’s also loaded with some fresh ideas as well. Some of these gifts are designed to assist lawyers in managing their busy schedule and lifestyles, unwind and improve their productivity. The end of every blessed year is always a busy one for legal practitioners. But, that doesn’t mean you should default to a holiday hamper or a box of chocolates. Get something interesting for the lawyer in your life—or at least, something they will actually be using for a while or for a long time to come. Below Are The Top 9 Best Gifts You Can Give A Lawyer. If the lawyer you know hates shopping but like cooking, getting a Blue Apron subscription might turn out to be the perfect gift. The reason why Blue Apron is good and preferable is that it delivers fresh, tantalizing and pre-portioned ingredients—straight to your doorsteps. Meaning, you can quickly cook a delicious Chicken Khao Soi without having to make the long hour trip to the grocery to get curry powder and limes. Blue Apron is loved because it ensures that your groceries are carefully delivered in boxes. Since your lawyer is busy, he doesn’t have to be at home to receive them. Furthermore, the company supports sustainable food system, so your lawyer or whoever is receiving them can feel good and comfortable about what they’re consuming. You can subscribe to Blue Apron here and enjoy the best it offers. If you’re close to lawyers, you would know how they often have to deal with late nights and long days. They don’t even have time for a foodie, not to mention cooking when they get home. However, they still need to maintain balance diet while eating healthy food. It is a pressure cooker that uses electricity and is highly programmable. It adjusts and monitors cooking time and temperatures, depending on the level or volume of food being cooked. With Instant Pot, you can cook food within seconds, and you can even program the pot to cook later. Are you coming home late? Instant Pot will ensure that your food is warm –up to ten hours, awaiting your return. There is also the Instant Pot Ultra as well, a model you can use in making a cake. Your lawyer might just find a new friend in Instant Pot. Before you think this is all boring—just hear this. Everyone has a favorite mug to chill with. You could turn out to be the person who purchases from your fellow lawyer that favorite mug. There are lots of seriously cool and beautiful mugs out there. If you are looking to get one for your lawyer friend, try the Civil Liberties Favorite Mug. Put water into it and watch as the text fade into oblivion while you’re enjoying the drink. There is nothing better than the text-disappearing Civil Liberties Mug. This is a classic one—the Lawsuit bard game. It is a fun designed by two parents who are committed to teaching their children concerning the legal profession. From that time till date, the fame of the game has grown in popularity. It is a game any legal professional would love to play over and over again. A visit to the designer website boasts that you can actually run and manage your personal law office and master the act of the courtroom while easing around the game board. It is simply amazing. You can study the rules and find more information about the product here. What better gift can you give unto a lawyer other than the tools that will enable him to argue his case and win his suits in court? Whether the argument is in business, politics, family’s responsibilities, legal matters, or any other contentious topic; using this wonderful Tools of Argument can give you the upper hand in the matter. Even when you’re not “right,” this book can give you a better argument just by following its principles. Your lawyer friend can now win an argument with ease. 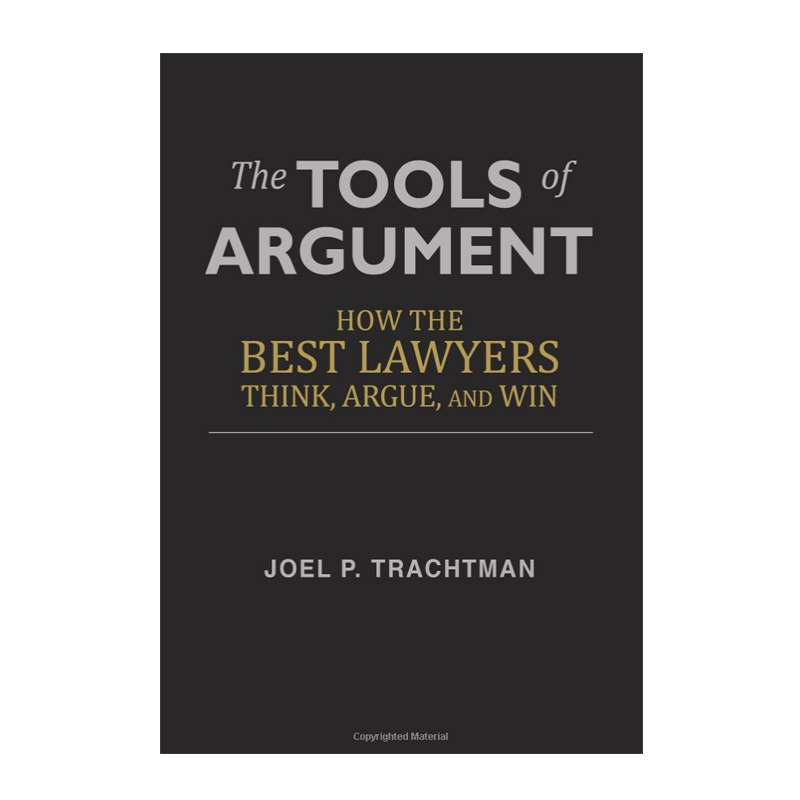 The book has a unique and practical approach that takes away jargons for isolating the core elements of argumentation and legal reasoning. Believe it: your lawyer will certainly find this book thrilling and valuable, as you would be contributing to his legal arsenals. You can find more information on this book here. You know what it takes to concentrate for long hours. Now, imagine what your lawyer friend or coworker is going through daily, and how he ought to concentrate and listen–read and comprehend for long periods. With the Noise Cancelling Headphones, your lawyer can have the best of concentration. These headphones do not block or restrict all noises, but they definitely reduced and control distractions, and this is very important for an attorney trying to write long hours of legal documents. When shopping for noise canceling headphones you will come across plenty of options. There is always something good and top-notch for you to choose. Bose Noise Cancelling Headphones to Sony noise cancelling headphone; Amazon presents you with a lot of options. You may think this is odd but believe it: the last thing any busy lawyer think or remember is how the temperature of their home looks like. But for those living in colder climates, it would be better to come home to a toasty house than coming back home to a frosty home after a long day’s work. Here is a unique thermostat that can learn your schedule as well as the temperature you like. Then, it automatically turns itself off to preserve energy when no one is at home. Such outstanding time tracking capability and energy efficiency performance helps in giving the lawyer in your life one less problem to think about after a busy day schedule. You can find more information about the Next Learning Thermostat here. There is an influx of techs and apps for lawyers, and a large number of legal practitioners are taking advantage of the improvement in technology to advance their legal practice on the go. Sometimes, it takes only a tablet or phone to advance their tasks responsibly and conveniently. However, it isn’t every time you find it comfortable and attractive working entirely from a computer-touch screen. The process can sometimes be very tiring. Enter the foldable Bluetooth keypad! Getting a foldable keypad can help lawyers to minimize the stress they experience while using their traditional keyboard and touchscreen. This keypad comes with a high sensitivity touchpad, and with it, you can connect to 3 devices at a time. Your lawyer colleague or personal lawyer can use it to draft long text, anytime, anywhere. Get the iClever Portable Bluetooth Keyboard and put a smile on your lawyer’s smile. You know, lawyers have access to sensitive clients’ documents, and when it becomes expedient to dispose of some of these documents; they have to do it in a secure and careful way. They have to make sure that such confidential information doesn’t get into wrong hands, and the only way to ensure that is by shredding. So, if the good and humble lawyer in your life is someone that’s just starting out, getting him a Cross-Cut Paper Shredder can go many miles as the perfect gift for his career. You will be saving a lawyer the stress of feeling uncomfortable when disposing of client’s confidential data. Check the Cross Cut Shredder here. One of the best friends you can have is your lawyer—a professional who is always at your side, by your side and ready to do your bidding when it comes to legal issues. You can make the lawyer in your life happy by giving him or her one of these great gifts for lawyers in 2018! FREE LSAT Practice Test – Part 3 LSAT vѕ GRE: Which Exam Should You Take?